On rereading this memoir I am surprised at how, unlike most things I write it is free of opinion, explicit or implied. It may be that there is so much factual material I want to record or it may be that the subject is so complex and large that I have refrained from playing superficially at the edges. 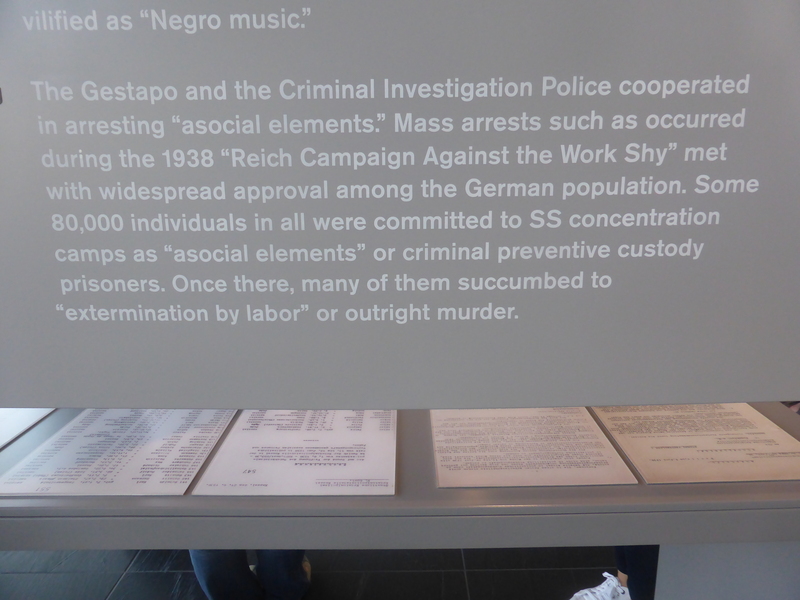 This panel in the Topography of Terror provides the context. *************************************************************************** There is nothing left of the grand architectural vision Adolph Hitler and Albert Speer designed for their Germania/our Berlin except some lampposts along Strasse des 17 Juni. The ghost of Hitler himself is tightly lassoed. 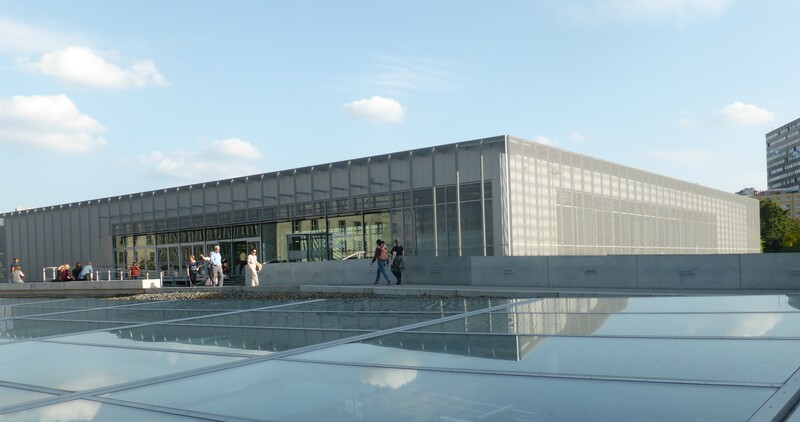 The very public icons of remembrance and reconciliation are the museums about the evil that was initiated by the Third Reich and the touching homages to the victims. Some of the shadows of the city’s history are to be found in memorials and museums I visited. At all the places below as at others, I was constantly impressed by the number of visitors and the quiet respect they showed for the evil acts to which they were bearing witness. 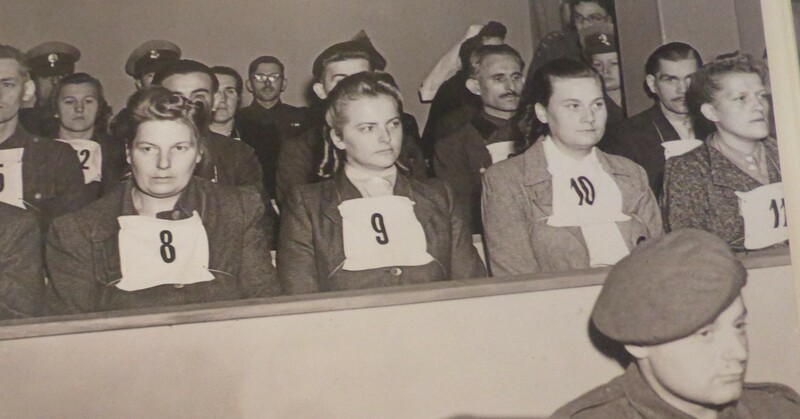 Former female guards in the first trail before a British military court of 45 of the SS camp personnel and Kapos from Bergen-Bergen camp. While the world knows that Jews, homosexuals, the mentally ill and Jehovah’s Witnesses were rounded up and sent to the camps, we are not so aware that the “work shy” also faced that fate. The Jewish Museum . 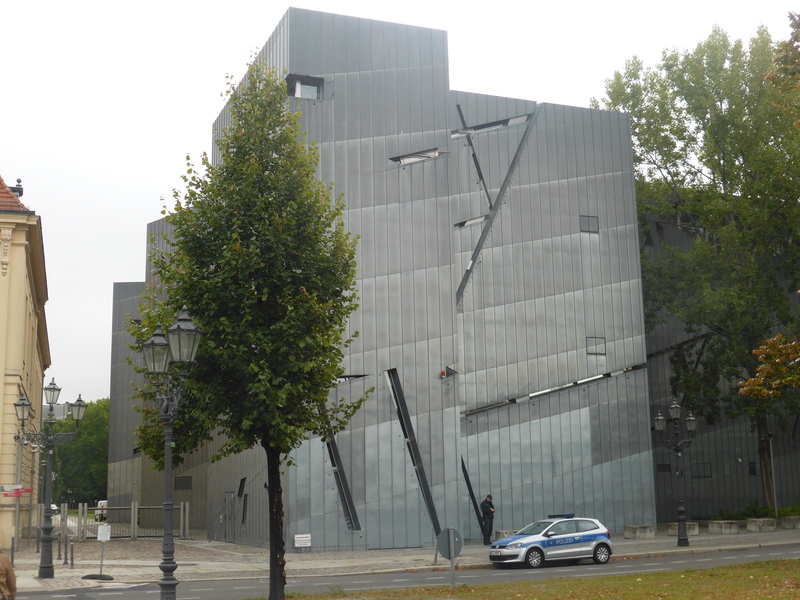 This silvery zinc building details the history of Jewish people from Roman times until today and explores cultural and political themes often in minute detail. One of the splendid architectural achievements of modern Berlin. 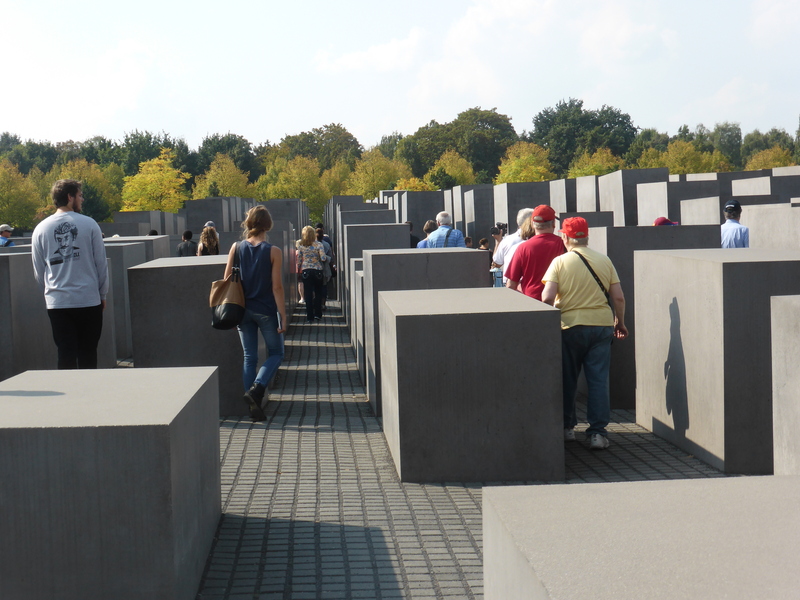 The Memorial to the Murdered Jews of Europe. It takes a whole city block, 2711 stelae of different heights; land slightly undulating; sombre, yet at one stage I saw young children jumping from one to the other and thought that maybe as a sign of their innocence it was OK. In one of the rooms under the memorial a brief biography about each of the 6 million murdered, is being read. It is said that it takes 6 years to complete. People walk silently through the memorial. Most stelae tower above head height. A panel in the Topography of Terrors speaks of the seeming indifference of “ordinary” Germans to the treatment of the Jews, It speaks about how the “mistakes” or “excesses” in the Nazi’s treatment of Jews were seen as marginal in the context of the great political ‘events’ and the improvement in the social and economic lot of most citizens. These latter disposed people to view Hitler and his crowd’s treatment of the Jews with indifference. 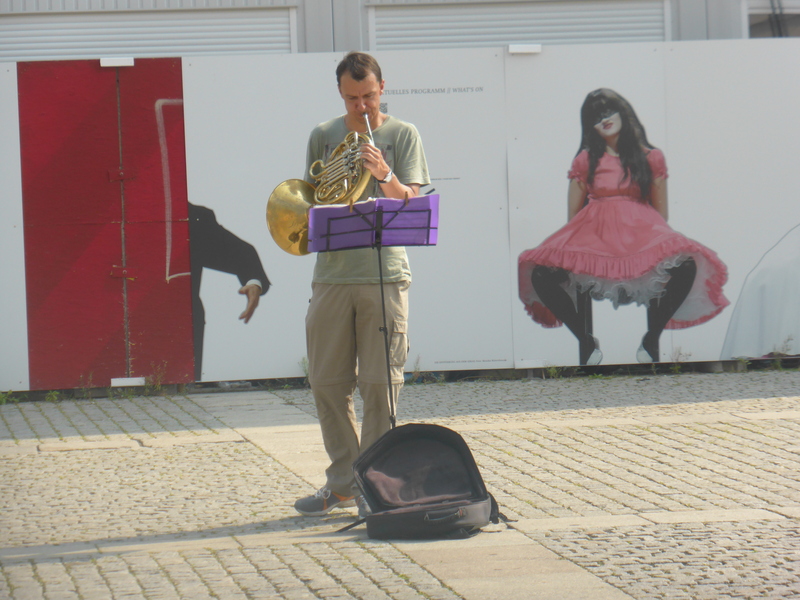 But there were exceptions………. The Workshop of the Blind in Hackescher Hof was where Otto Weidt employed a number of Jewish people in his brush making business and then hid them for as long as possible from the Nazis. The German Resistance Museum– Again, we have the simple stories on cardboard of those individuals who did their best to stand up to the Nazis . In the courtyard is a tribute sculpture to the military men who tried unsuccessfully in the Valkyrie operation to bring about Hitler’s downfall. 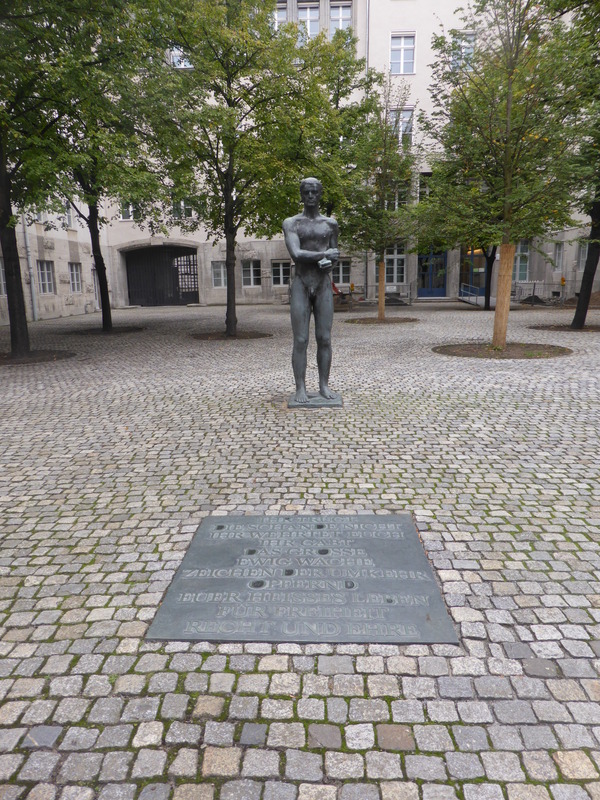 The memorial on the spot where the military men charged with the assassination plot against Hilter, were shot. 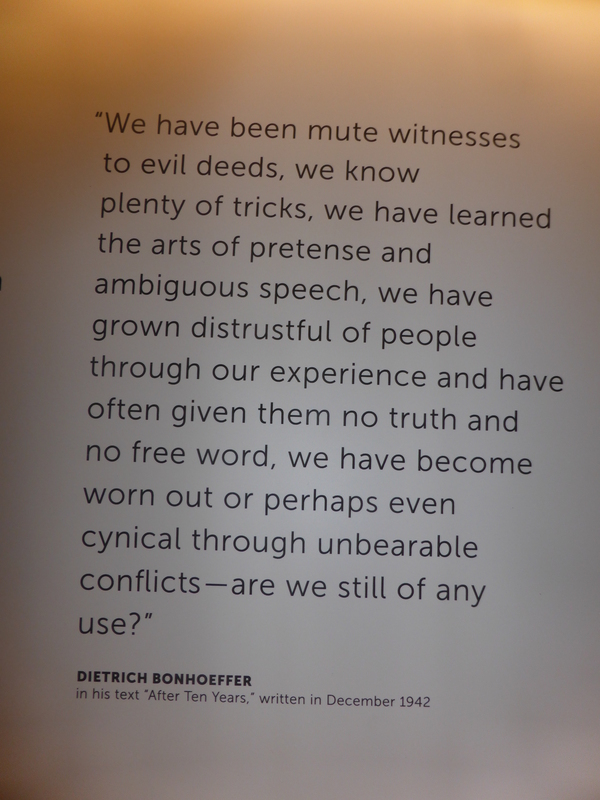 A small sign in this museum to those who tried to stand against the Nazis. Goring’s grand old Luftwaffe HQ from where he directed the Battle of Britain, inter alia has been put to a more practical use. It is now the department of finance managing the national tax. Once Goring’s Luftwafee HQ, now tax is collected here and during the Cold war it was incorporated into the Wall. 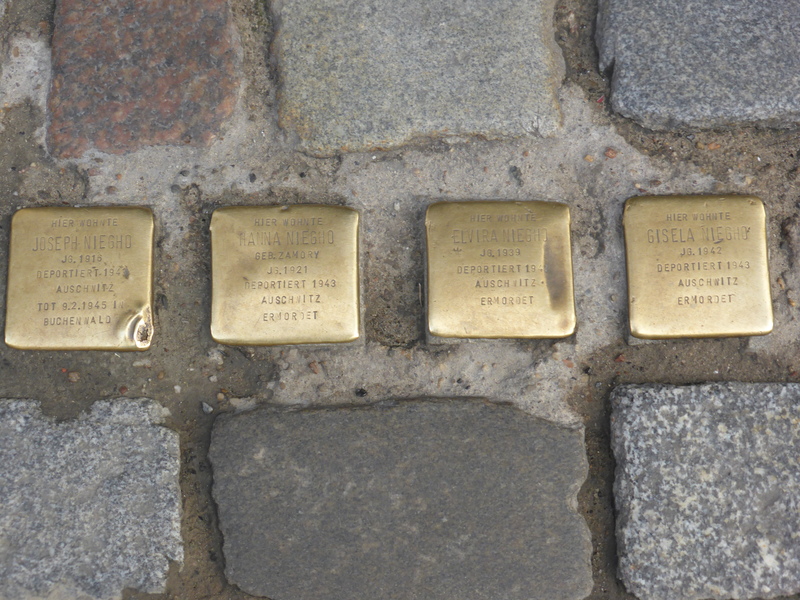 Small brass plaques are embedded in the paving in the old Jewish quarter with the names of the Jews who were taken away. 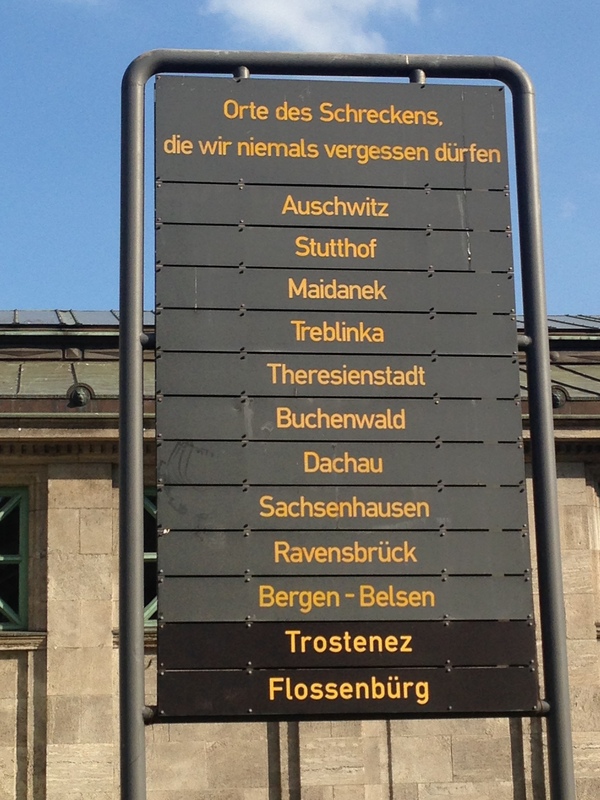 In 1933, the Berlin Jewish population was 163,000 or 0.77% of the city’s population. Yet another simple, stark reminder in a central area. In Bebelplatz, opposite the grand library of Humbolt university a glass covered view of underground empty bookcases marks the spot where Nazi students burnt 20,000 books. Goebbels addressed the crowd of 40,000 before the fire. Near this spot in front of the Opera renovation and opposite the university library, students fired up by the Nazis burnt books by Brecht, Mann and Marx. Under a glass pane empty bookshelves are the reminder. The broken spire of the bombed memorial church near the Zoo station and near Kurfurstendamm (the famed centre of West berlin during the Cold War) stands as a reminder of the Allied bombing. Schinkel designed the neo Classical peace memorial on Unter den Linden for the Prussian court. The Nazis used it as a Hall of Fame for Heroes and now it is a memorial to the Victims of Fascism and Militarism. It houses only a pieta sculpture by the famed Kathy Kollwitz. 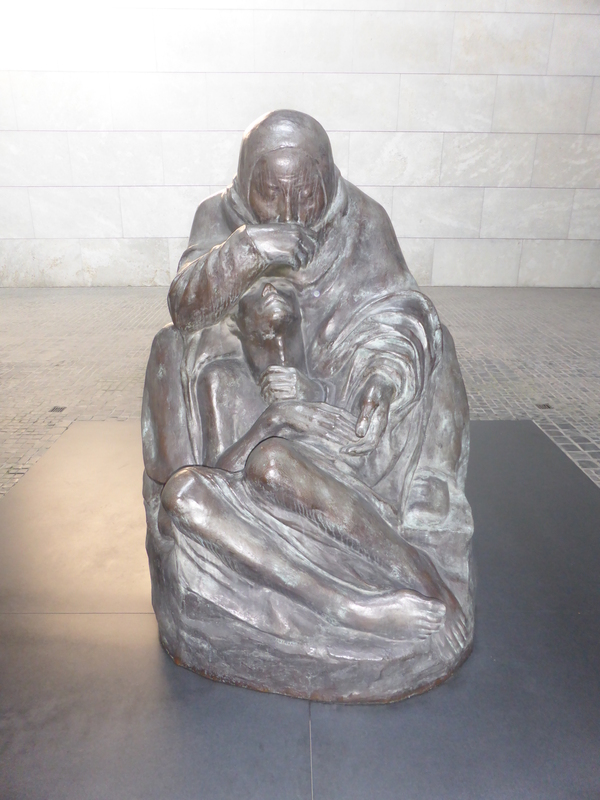 This is the pieta which sits in the peace memorial on Unter den Linden. About 30 minutes outside Berlin on the edge of the charming German village of Oranienburg is the former Sachsenhausen Concentration Camp. I went there with a guided group. Nigel the guide was wonderfully knowledgeable. The gates of the camp bear the slogan “work makes (you) free”. How in a simple travel aide memoire can one write about a place where such horrors occurred? 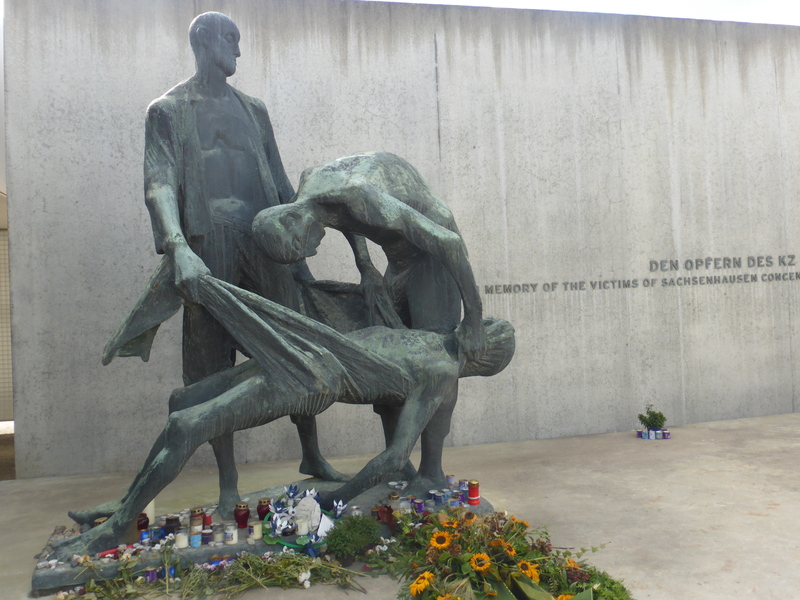 Although nearly 30 years ago I visited Dachau, it perhaps wasn’t with the increased sensitivity of my now age.Suffice to say, at Sachsenhausen I was flattened and tearful. Among the prisoners, there was a “hierarchy”: at the top, criminals (rapists, murderers), then Communists (red triangles), then homosexuals (pink triangles), Jehovah’s Witnesses (purple triangles), and Jews (yellow triangles). This was the HQ of all the camps where many of the worst Commandants were trained for the 2000 other camps across 18 countries. Here industries included making bricks for Speer’s version of the new Germania, sorting glasses and teeth from other camps and testing army boots by excrusiatingly running all day until you dropped to test every possible circumstance. Women were prostituted and if pregnant, their babies killed. Medical experimentation occurred. Over 200,00 enemies of the Reich were imprisoned here from 1936; in 1941, 10,000 Soviet prisioners were brought here to be killed and the Soviets kept it operating for the first 10 years of their occupation when 12,000 people died here. At the end of the war in the death marches when prisoners were taken into the countryside by the failing regime, 35,000 were taken from Sachsenhausen and only 6000 survived. In one of those sad ironies, the adjoining training camps used by the Third Reich are now the Berlin police training camps. My final Nazi era memory is of the carpark and adjoining road near the form administrative offices of the Reich. 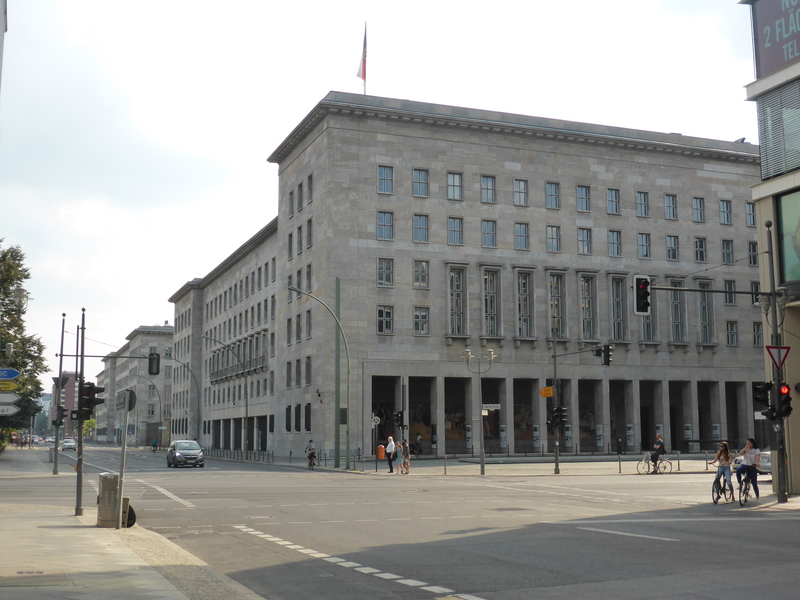 This very bland and almost unkempt precinct now covers the bunker where Hitler, Goebbels and their loved ones died. There is no sign, no acknowledgement. 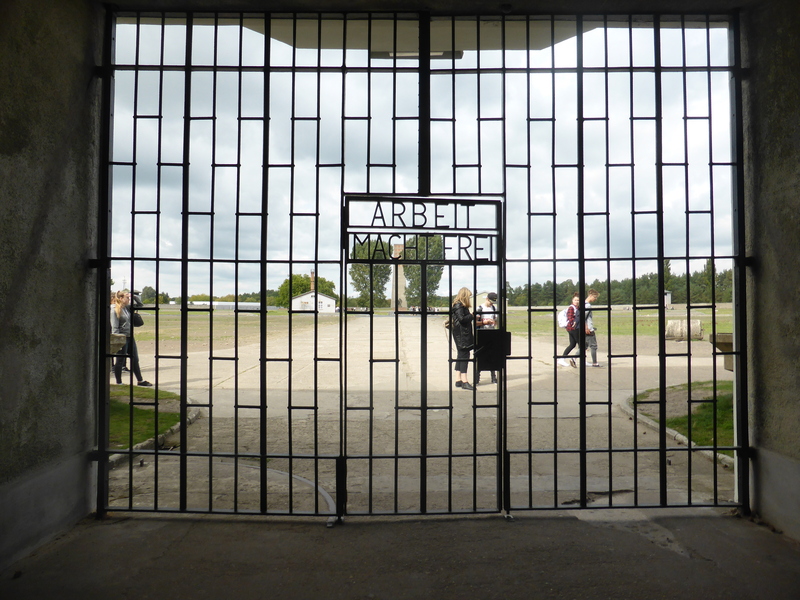 The “Feuhrer’s” personal memory has been fittingly supressed by the ordinariness of the place. 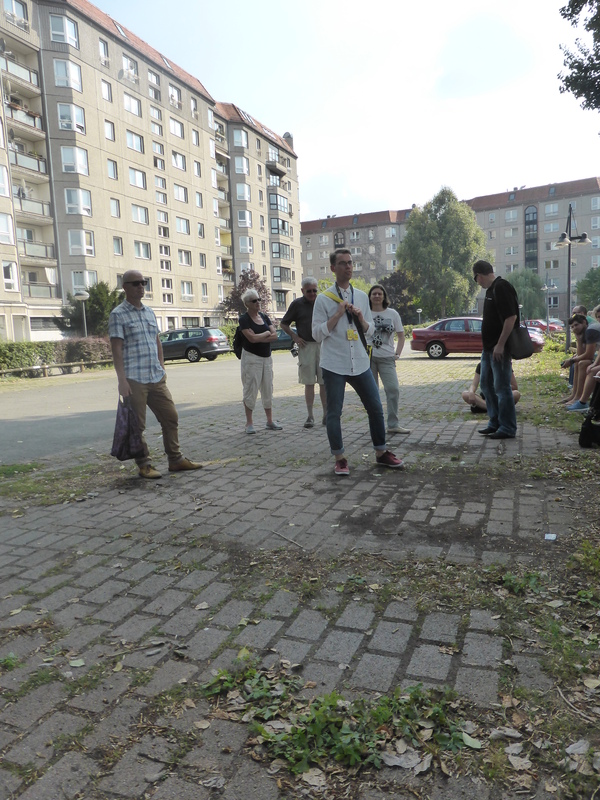 Hitler’s bunker was under a carpark here – no sign, no acknowledgement. Fitting.